The City of Tempe Public Art had a program to commission various artists to create artist-designed bus shelters at its public high schools. Artist team Nina Solomon and Sue Chenoweth were chosen to design and create the bus shelter at Corona del Sol High School with the help of students from Corona’s art classes. 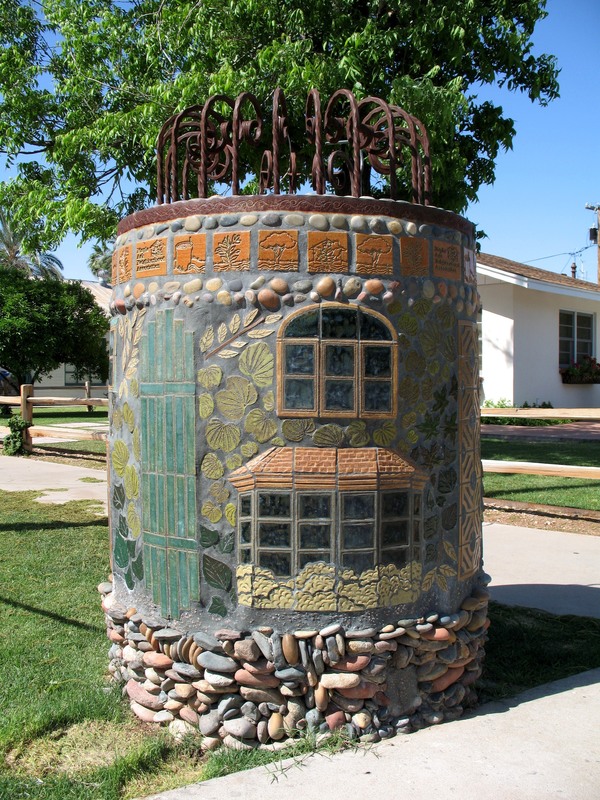 The Maple Ash Neighborhood Association commissioned Nina to develop artistic enhancements to the various standpipes that had become eyesores in the neighborhood. 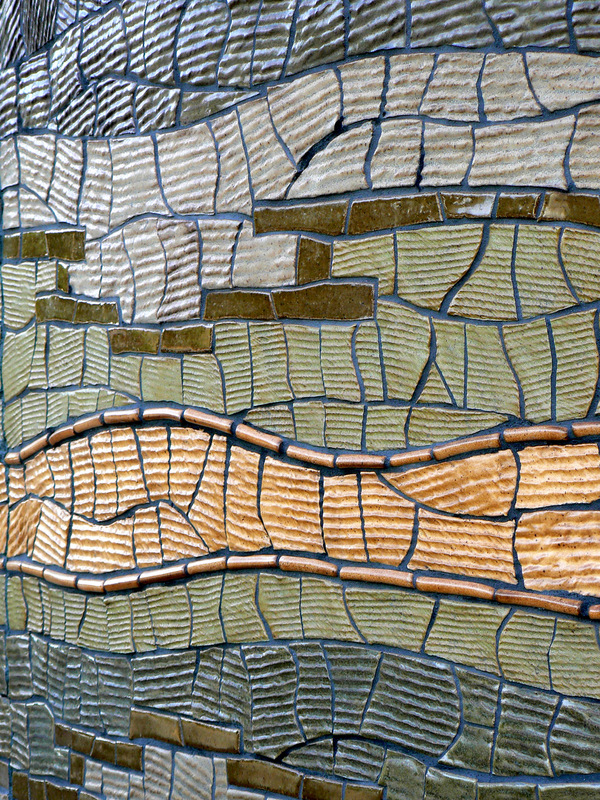 The neighbors participated in concept, tile creation and installation on each of the six projects. 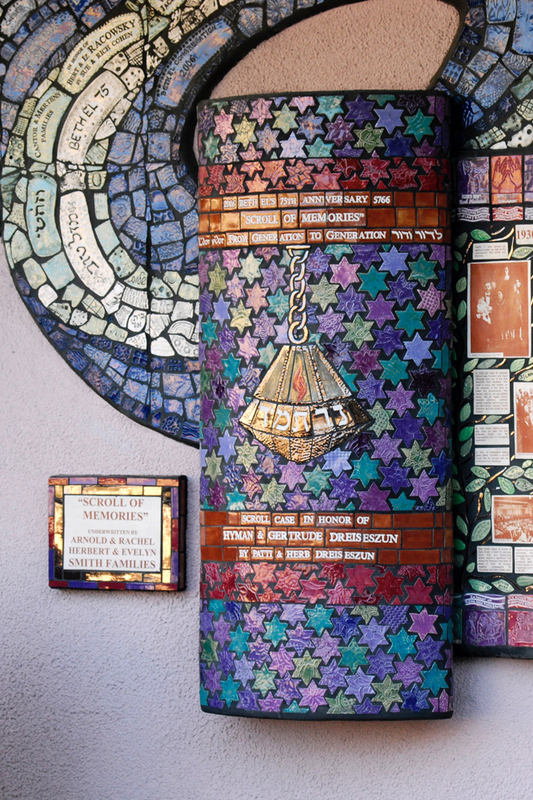 Nina was commissioned to create an outdoor artwork to celebrate the 75th anniversary of Beth El Congregation. Many volunteers from the congregation helped develop the history in photo and text tiles that highlight 75 years of memories. 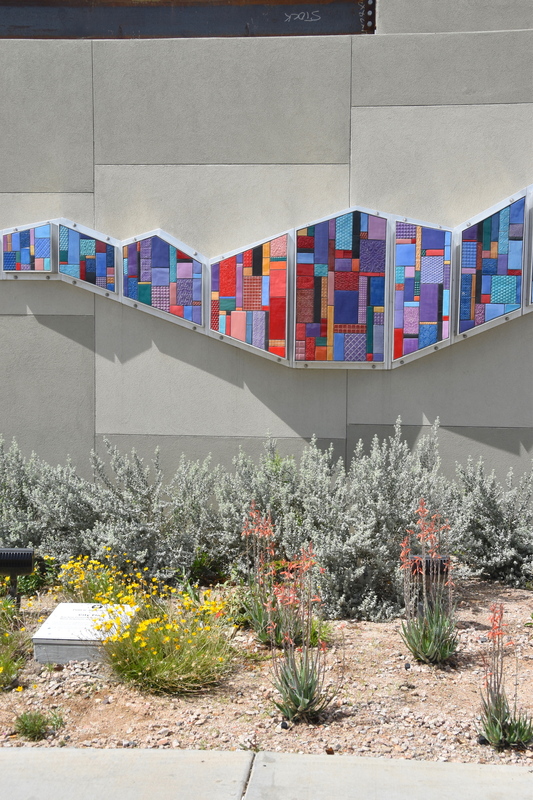 Artist team Nina Solomon and Heidi Dauphin created a design for a sculpture on the front wall of the Traction Power Substation building at 19th Ave. and Lawrence Lane in 2008 for the Metro Light Rail Extension. 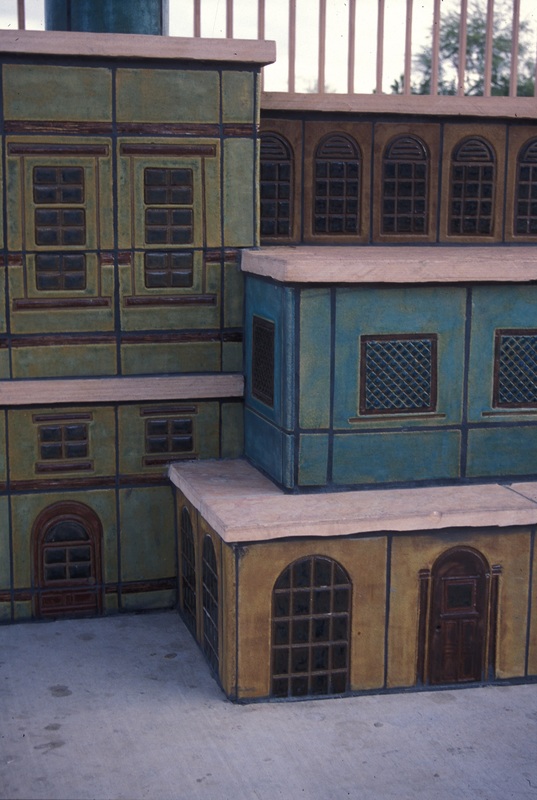 With the economic downturn, the construction of the piece had to wait until 2013/15. An extremely long wall was needed to enclose the new Pinnacle Peak Reservoir. 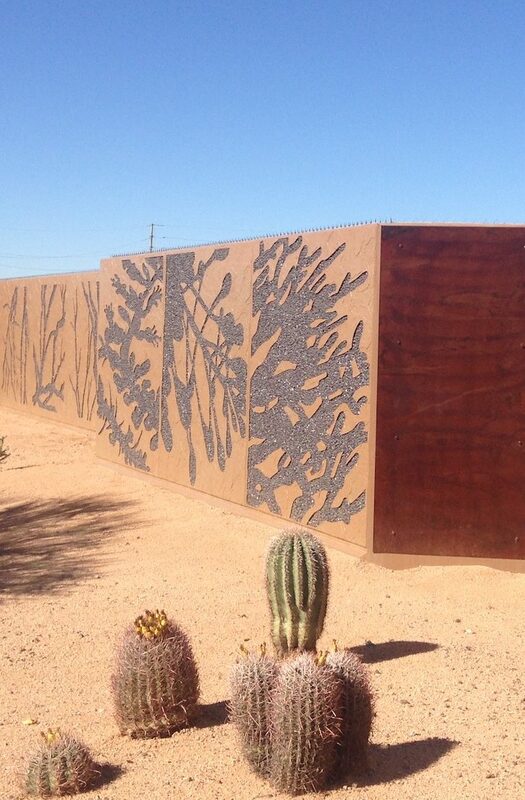 The Phoenix Office of Arts and Culture commissioned artist team Nina Solomon and Heidi Dauphin to design elements to softened the wall with art and integrate it into the surrounding desert. The City of Goodyear commissioned artist team Nina Solomon and Heidi Dauphin to create a sign to identify Palmateer Park to cars passing by. Six Inch letters on the front of the mountain-shaped zigzag sign spell out the name of the Park amid mosaic tile references to cotton, city and mountain. 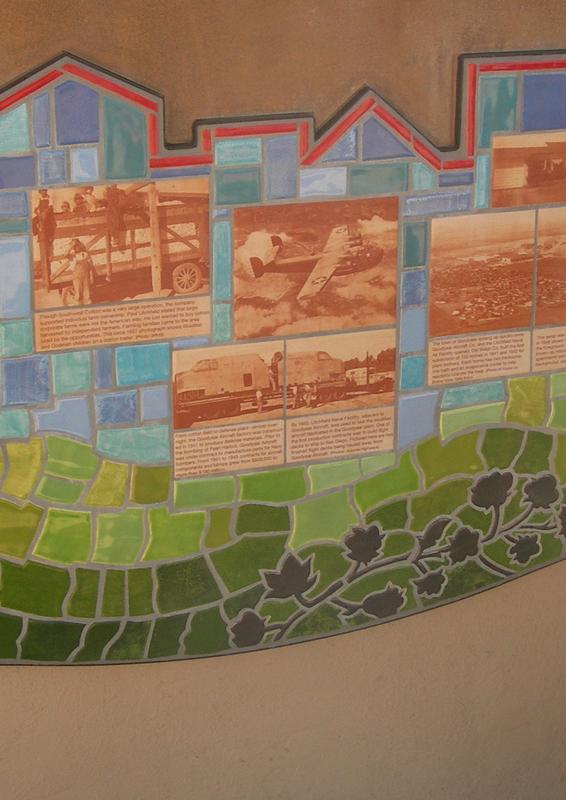 The back of the sign tells the history of Historic Goodyear with photo and text tiles.